The Hoboken public could be forgiven for forgetting a local election is underway with polls open by the time most read this. Based on this sleepy municipal election season, the echoes of war sounded distant unless you lived in the Hoboken Housing Authority where the farming of Vote by Mail is seasonal tilling in the lay of the land. The main factor driving the Hoboken BoE election is the New Jersey US Senate race, meaning, it's of no consequence at all. The recent slew of endorsement activity on MSV is not unusual but this time it's no branded slate of Kids First candidates but support for Wallace school parents under a new name. Outside of those new circumstances, the race has more April overtones than a November election before the BoE like hundreds of other NJ municipalities moved its races to the fall. 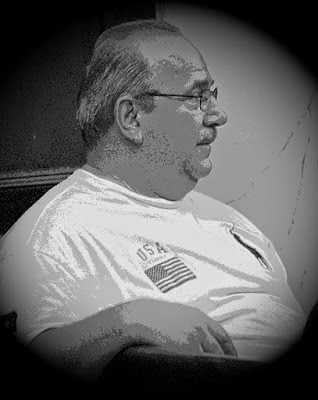 Frank "Pupie" Raia - today's Board of Education race is his show. Unless someone stops him. No slate is showing signs of doing so placing him in the driver's seat. That has its pluses and minuses for reasons not stated here for the moment. However, since this is a November race, other wards have some reasonable numbers so the fourth ward doesn't appear like so much the "anomaly" as it did in the 2010 fourth ward special election. Here's the breakdown: First Ward: 144, driven by the senior building on lower Bloomfield, Second Ward: 121, Third Ward 145, Fifth Ward 171 and the Sixth Ward 81. The out of sync numbers in the spring look less so due to a November election. Real voters are using the VBM option not only the vote farmers and their captains in the HHA. Not all of these VBM ballots have been returned and there could be another late bump especially if a bus should appear on Jefferson St. taking voters over to vote at the Hudson County Board of Elections. Does that sound nutty with the polls open? Well it is and this is Hoboken. The obvious and not so secret beneficiaries of the VBM largesse out of the HHA is the Raia slate of Peter Biancamano and Fran Rhodes Kearns. The big question is if the stated resistance to vote for Pat Waiters for the third slot is in fact a reality or not. MSV switched to a "no" based on the noises coming out of the Old Guard campaign but the truth is they don't even know what will happen with that open third voting slot. Brit where did the love go? Bottom line, it's difficult for other candidates on opposing slates to start out of the gate 250 votes down. Only turnout overcomes that staggered start and historically it's occurred on occasion but not likely here for a number of reasons. The rest of this story is heading out later today to MSV Premium subscribers. New pricing structure is $1875 annual for new members. Frank "Pupie" Raia photo courtesy Jhnny "to the butter" Newman.